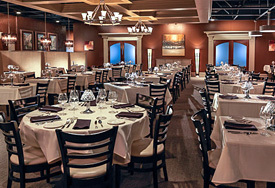 From intimate private dinners prepared by our chef to larger celebration, Tony’s Steaks & Seafood offers full service event planning. We bring The Tony’s Experience to you. Outrageously innovative food, catered to meet the theme of your event. Check out our menus. Basically, our food rocks! It’s all in the details – lighting, music, valet, linens, tables, tents. If you want it, we’ve got it. Did we mention full-service? From setup to clean-up and everything in-between, we’ll provide the staff to attend to every detail. After all, it’s The Tony’s Experience.